What is Curriculum? 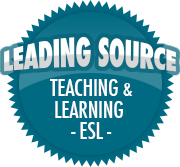 (Focus on Curriculum Part 1) | So, You Think You Can Teach ESL? This post will begin a series on the topic of “curriculum”. I plan to discuss what “curriculum” is, characteristics of a good curriculum, ESL curriculum, elementary and secondary curricula, and may even include a few guest posts from teachers specializing in subjects such as history or math to talk about their subject’s curriculum. What do you think of when you heard the word, “curriculum”? Do you think of textbooks? Teacher lectures? Mandated exams? This video above gives an excellent introduction to what curriculum is, and gives some examples of different “types” of curriculum (mandated, taught, null, and tested). So, what is meant by “curriculum”? The term curriculum is often used to describe only the goals, performance objectives, or plans, something distinct from the “means” of methods, materials, and assessment. It is thought of as the content taught throughout the course of the academic year. “Curriculum” encompasses not only the in-class content, but the students’ experiences while learning. As the video states, there are four “types” of curriculum: the mandated, taught, tested, and null. The mandated curriculum is what is set by the state or national educational boards to meet their requirements for graduation. It is typically presented in official documents that dictate the student performance standards, assessment ranges, and required courses that must achieved for each grade level. The taught curriculum is what the teacher covers during class. The taught curriculum may not encompass everything the mandated curriculum sets forth, as the teacher may decide to cover specific chapters (or skip some altogether). The teacher may also not be able to get through the entire mandated curriculum due to time constraints. This is sometimes called the “hidden curriculum”. It is the enrichment activities, and “unintended” lessons teachers used to help students achieve and gain more out of their educational experience. The tested curriculum consists of the part of the curriculum over which a student is tested via national norm-referenced achievement tests, state criteria-referenced tests, and teacher-made tests. The null curriculum is the content which is not covered. It is either neglected by the teacher by choice, or left uncovered because there is not enough time during the school year to cover all the material. Curriculum, the all-encompassing set of tools teachers use, is of vital importance! It sets forth what the students should learn, and allows teachers to plan enriching and creative lessons around the given content.